Land Rover engines can be considered fairly efficient in the 4x4 world. Since the 200Tdi in 1990, Land Rover engines have had decent performance and reliability when compared their predecessors. The engines in later years went through a variety of redesigns due to company buyouts, regulations and improvements; but the biggest change came with the Td5 - moving away from purely mechanical engines (the 300Tdi EDC had some electronic controls fitted on some Discoveries). Most engines in Land Rovers are diesel, due to their better pulling power at lower RPM and better reliability in wading situations. 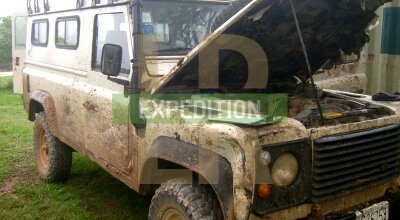 The best engine for an Expedition Land Rover is generally considered to be from the pre-Td5 era where a simpler fault diagnosis, worldwide parts and a lower entry of mechanical skill is required to fix them. The 200Tdi has slightly better fuel economy over the 300Tdi and is simpler to service, but is a less refined engine.